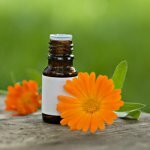 LATEST NEWS: Rosewood Aromatherapy College have launched a select few CPD courses for Distance Learning - these are theory-based and enable CPD points to be gained at your own convenience and without the need to travel. Click here for further details. We are the only school in the East Midlands to be fully accredited by the International Federation of Aromatherapists (IFA) - the world's largest and oldest professional aromatherapy association. Rosewood Aromatherapy College was established in 2012, and currently boasts a 100% pass-rate for all our students who have undertaken the prestigious IFA Level 4 Aromatherapy Massage Practitioner Diploma. Our courses are offered at a location on the outskirts of Nottingham, close to the M1, making us conveniently located for students travelling from Derby, Mansfield, Chesterfield, Sheffield, Leicester and, of course, Nottingham. Please feel free to have a look around the site and if you have any queries, you are very welcome to contact us. Rosewood Aromatherapy College's selection of post graduate CPD courses in Nottinghamshire gives students access to some of the highest level of training in the UK. We offer a variety of interesting CPD courses for qualified therapists, both in-house and via distance learning. Our courses include Indian Head Massage, Aromatic Chemistry, Aromatherapy for the Feet, amongst others, together with individually tailored Upgrade courses for those who have qualified in Aromatherapy under a different awarding body and wish to become members of the IFA; and also Refresher courses for those who wish to revisit and update their Aromatherapy Massage training. We are the only school in the East Midlands to be fully accredited by the International Federation of Aromatherapists (IFA). Read more. Attending our post graduate training courses in-house is designed to be flexible enough to fit around modern life with weekend or week day teaching dates arranged to suit individuals. Class sizes are kept small and are carried out in a relaxed and informal atmosphere where students are encouraged to ask questions. Some of our CPD courses are suitable for Distance Learning since they are theory-based, enabling students to study at their own convenience. All our in-house courses are run at a venue near Eastwood, Nottinghamshire and you will also have a tutor that is available for support and advice once you have completed your chosen course(s).